As a complete Luddite, the concept of Throwback Thursday has only just come to my attention, thanks to a Facebook post by Lee Curreri (yes, Fame’s Bruno Martelli!). The photo he posted showed him sporting his long, lustrous, dark curls circa mid-Eighties, when BIG hair was de rigeur. As big hair is the default mode for my own crowning glory, whatever the decade, this inspired me to dig out a few photos of when the style was actually in fashion, i.e. most of the Eighties. 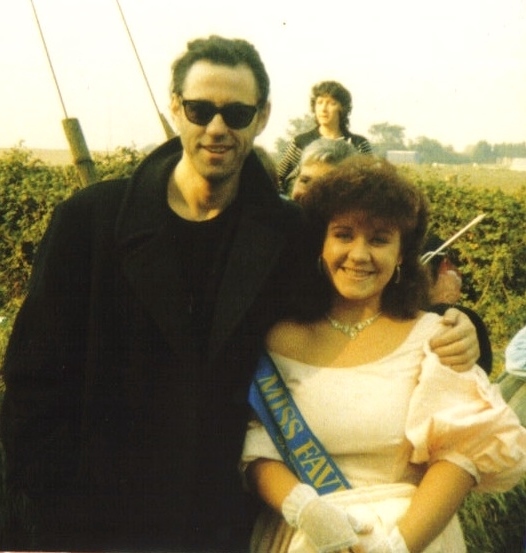 The photo below was taken in 1988, when I was my town’s Carnival Queen (to this day, I still don’t know where I found the confidence to enter the competition!). Besides snuggling up to Bob Geldof (our local celebrity), what I love about this photo is my hair; a show-Poodle style, which was held in place by half a bottle of VO5 gel spray! If you’re in any doubt as to the enormity of my hairdo, let me tell you that I am actually wearing a diamante crown in the photo. It is just lost in the wilderness of my over-processed tresses! Grange Hill, the school we all wanted to attend! 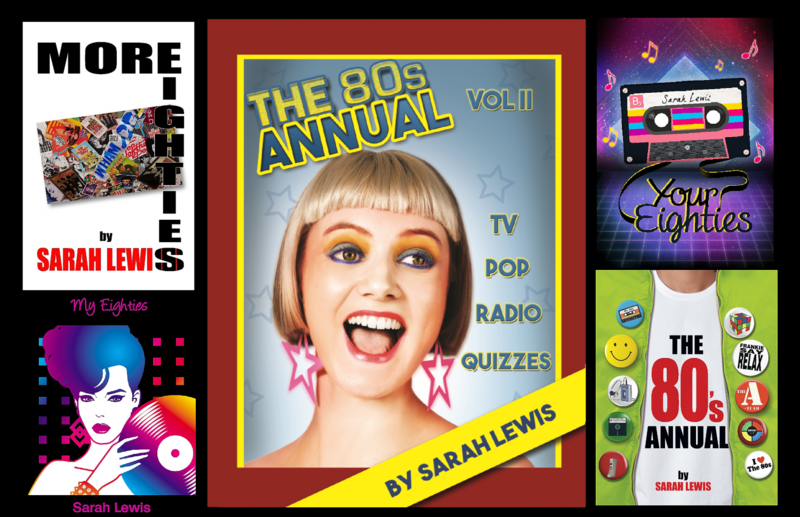 One of the chapters I’ve been working on recently is about going to school in the Eighties. if you were anything like me, you couldn’t wait to get out of your real school, and rush home to watch Grange Hill, the school we all wanted to attend! Whether it was the characters we loved to hate, like the menacing “Gripper” Stebson, or the ones we just loved (Tommy Watson, with his blond, bowl haircut and big blue eyes, held a special place in my heart! ), these were virtual fellow pupils, with whom we shared the ups and downs of adoloescence. So, where are they now they are in their forties and beyond? Anyone who has been watching the recent series of “Dancing On Ice” cannot fail to have noticed what Todd Carty (“Tucker” Jenkins), with his Norman Wisdom-like performances has been doing, but what about the rest of the cast? Well, Mark Savage (Gripper) continues to act, as does Paul McCarthy (Tommy), who also provides vocals for his band, Smashing Time. Erkan Mustafa (Roland Browning) is currently presenting and interviewing on ME1 TV, and Terry Sue-Patt (Benny Green) is busy producing some rather impressive artwork. 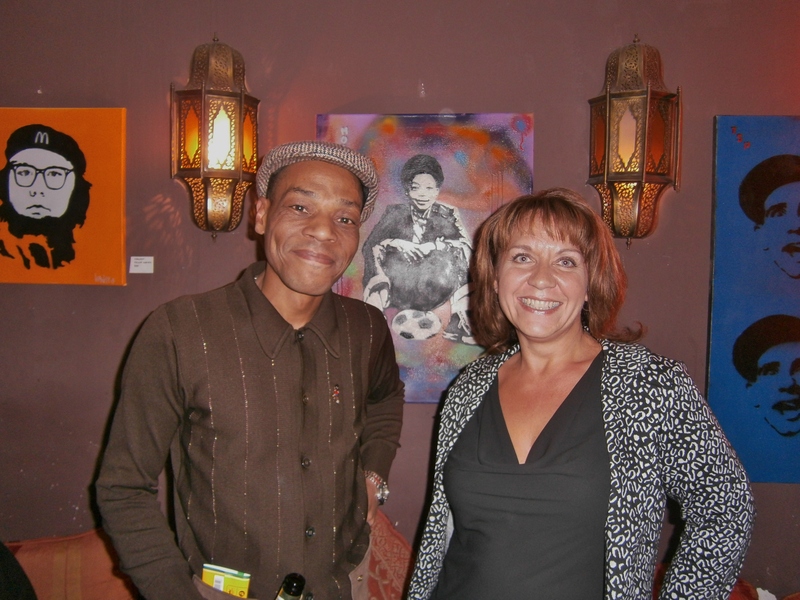 The photo below shows me and Terry with the piece I now own, one of his self-portraits as his Grange Hill persona. Terry, as Benny Green, appeared in one of my favourite Grange Hill moments. Left unsupervised, he and Tucker decide to race on wooden benches in the school swimming pool. Not only was it hilarious to watch, it looked like great fun to film! Let me know who were your favourite Grange Hill characters, and what were the most memorable episodes for you. Welcome to the new location for my blog. As with a lot of things in my life, my technical capabilities do not extend much beyond the Eighties. However, feedback I received from my blog at its old site, suggested that having to register to leave a comment deterred readers commenting on posts. Therefore, I have waved goodbye to the old site, and said “Hello” to WordPress (hence, tenuous link to Soft Cell’s 1982 hit!). In the meantime, I’ll leave you with a video of Haysi Fantayzee’s performance of “John Wayne Is Big Leggy” on TOTP – A tribute to Jeremy Healy, one half of the duo, who celebrates his 52nd birthday today.